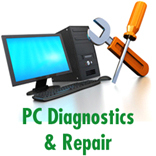 Service Description: Laptop screen, keyboard, Battery replacement, Faulty device repair. For products purchased from ARC within warranty period (12 months usually), please contact ARC Warranty. Or contact your local ARC branches.